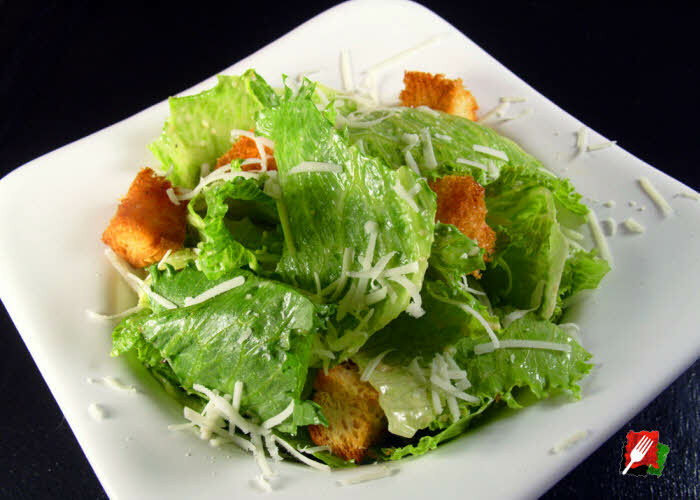 Rinse and pat dry lettuce (1/2 head per serving), tear into 1″ to 2″ pieces and set aside. 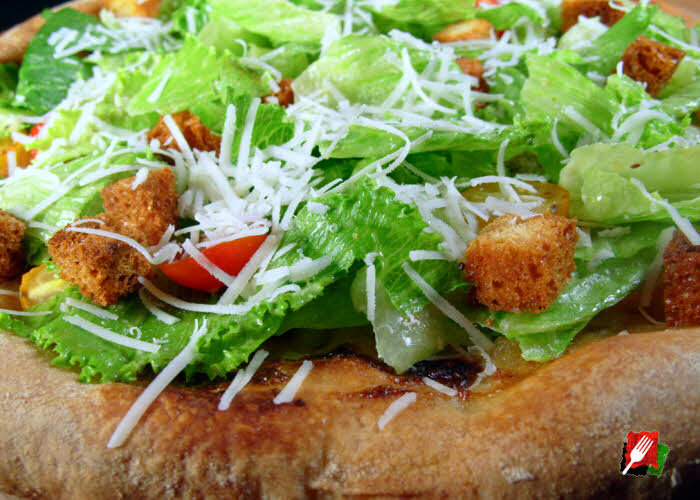 Cut day old bread into 3/4 inch croutons, toast, then set aside. 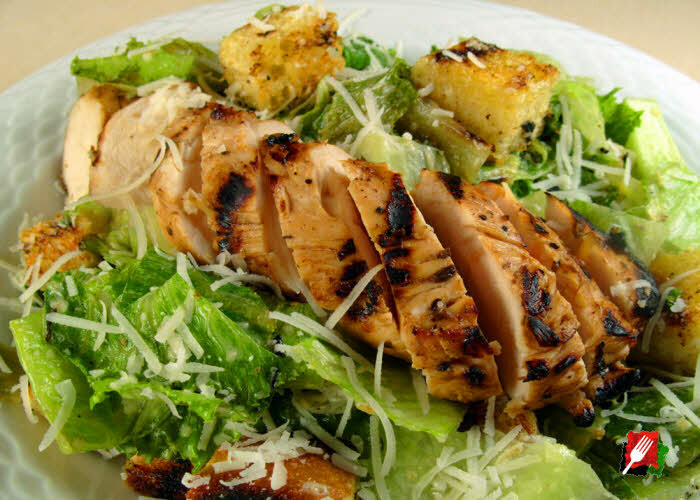 In a blender or food processor, combine lemon juice, garlic cloves, anchovy filets (or anchovy paste), Dijon mustard, Worcestershire sauce, egg yolks, and 1/2 cup of grated Parmesan cheese. Blend until well combined, or pulse with a food processor for about 10 seconds. Slowly drizzle in 1/2 cup of olive oil until fully emulsified with the other ingredients. Add a little more lemon juice to taste. Refrigerate for at least 30 minutes before using. 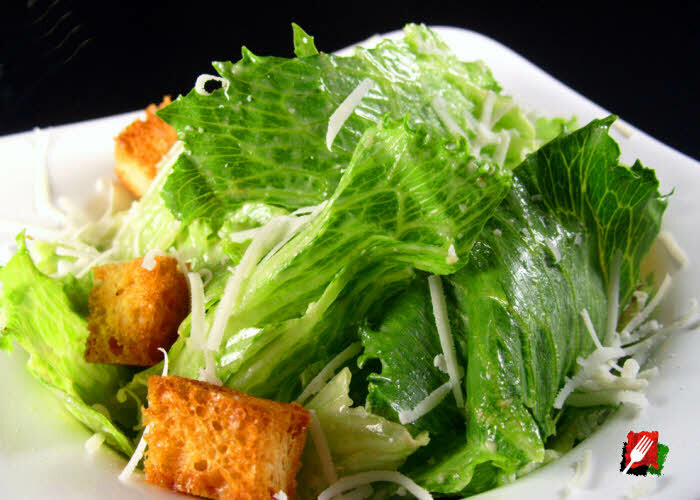 In a large bowl, toss the lettuce with a few tablespoons of dressing along with the croutons. Adjust dressing amount to taste. 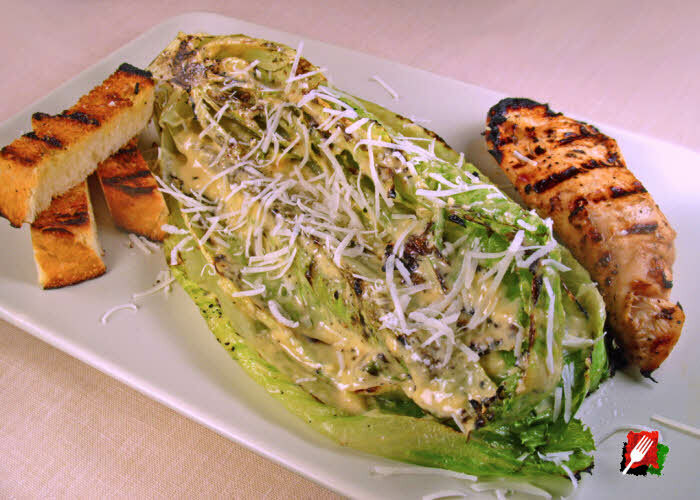 Serve salad on chilled plates and top with shredded or shaved Parmesan cheese. Add ground pepper to taste. 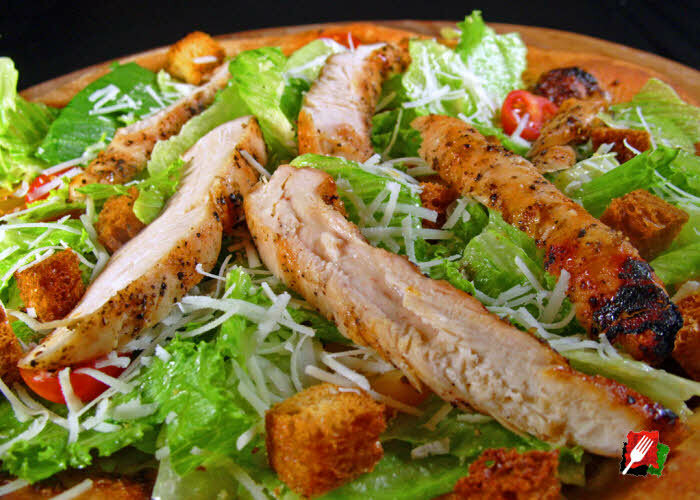 Serve as is, or top with grilled chicken strips, grilled salmon, or halved cherry tomatoes.